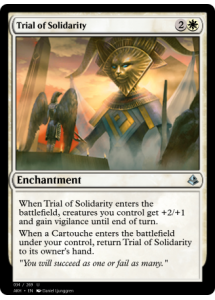 When Trial of Solidarity enters the battlefield, creatures you control get +2/+1 and gain vigilance until end of turn. 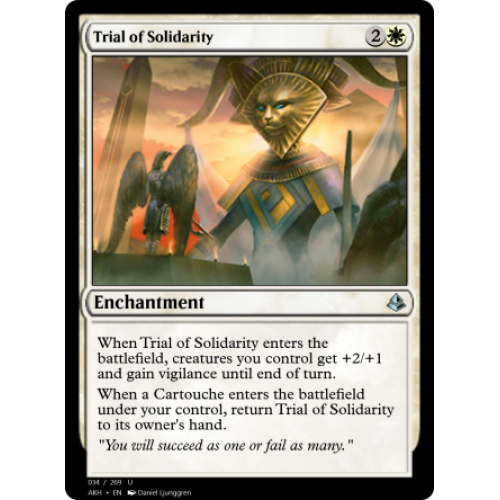 When a Cartouche enters the battlefield under your control, return Trial of Solidarity to its owner's hand. "You will succeed as one or fail as many."